Product Name Pimento Berry Essential Oil Geographical Origin Jamaica Botanical Name Pimenta officinalis Parts Used Fruit berries Method of Extraction Steam distillation Pimento Berry Oil (Pimenta Officinalis) Product Name Pimento Berry Essential Oil Geographical Origin Jamaica Botanical Name Pimenta officinalis Parts Used Fruit berries Method of Extraction Steam distillation Color and Appearance Light Yellow to Amber Odor Fresh, warm, strong and both spicy and sweet Uses: 1. 100% natural and pure Pimento Berry essential oil is put to best of therapeutic purposes for the cure of rheumatism, arthritis and stiff muscles. 2. It also helps in the conditions of chills, bronchitis and congested chills. 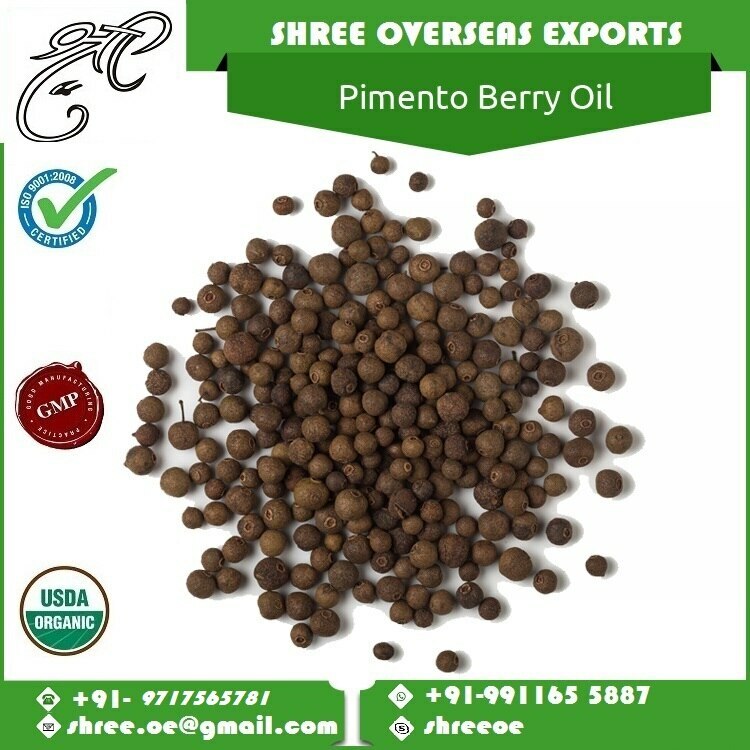 Shree Overseas Exports has also pimento berry oil good scents .